Reisdential alarms sytems have advanced tremendously over the past 10 years. Once they were simply burglar alarm devices but they have tranformed into full featured Life Safety and Home Automation systems. 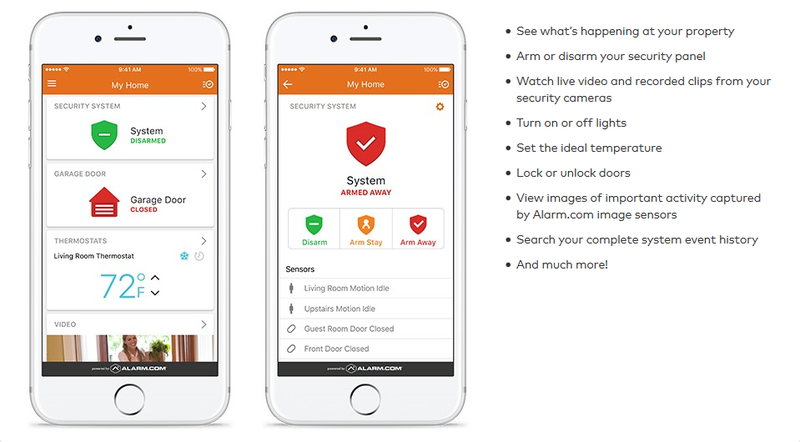 All systems that Armor Security installs have the ability to be controlled remotely via the Alarm.com app on your smart phone. The ability to access your system and its features remotely bring the homeowner a new level of connection that has never been establisehd before. 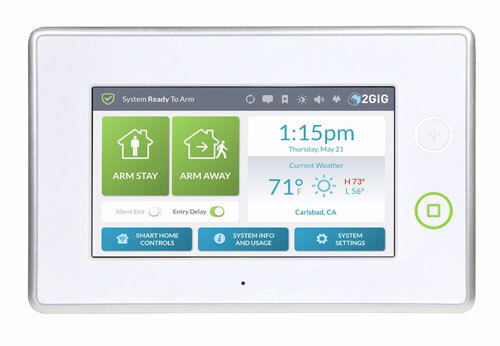 The home automation features of the 2GIG GC3 system and Alarm.com app allow you to control 2GIG's selection of sensors and Z-Wave devices. These technologies allow you to program in unique events for your system. For example, when you Arm your system to leave it can be tied in to turn off lights and change your temperature. Likewise, upon your return it can be programmed to turn on lights and change your air conditioning/heat to a more comfortable level. Residential alarm and home auotomation systems now incorporate many very important life safety features such as fire/smoke/heat sensors, carbon monozide sensors, and water sensors. You can view many of the 2GIG life safety devices on our Alarm Products page.